Do you remember Mecam, an upcoming $49 nanocopter with a camera? AFAIK, it’s not there yet, but a similar product with a similar price point is now “available” on Kickstarter. Hex nanocopters (quadcopter and hexacopter versions) are not voice-controlled, and do not come with a camera by default, but you can control them with iOS or Android mobile devices, and a camera can be fitted if needed. It comes as a kit, so you’ll have to assemble it yourself, and since it’s fully open source, you could even customize it to your taste. Extra Payload – Quadcopter: 12g, Hexacopter: 30g. 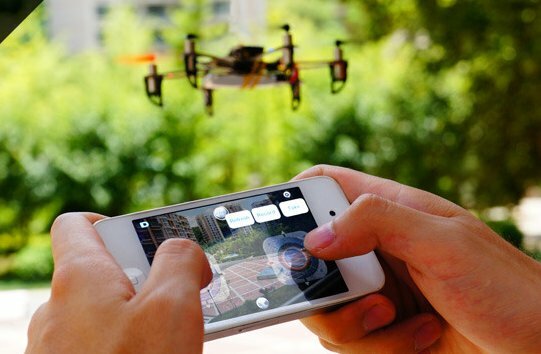 The app will let you control the nanocopter, record videos, capture photos, and share videos. The application will eventually be open source, as well as all hardware, but they have not provided much details at this stage. If you are interested in this project, you can pledge $49 for the nanocopter, $69 for the hexacopter, and $159 if you want the hexacopter with the Wi-Fi camera. The FPV glasses are available in the “Hex Spy Set” with a quadcopter for $469. Shipping is not included and ranges from $10 to $20, and delivery is expected for December 2013. Further details are also available on Hexairbot.com. Nice! This should increase the flying time and/or supported payload a bit. 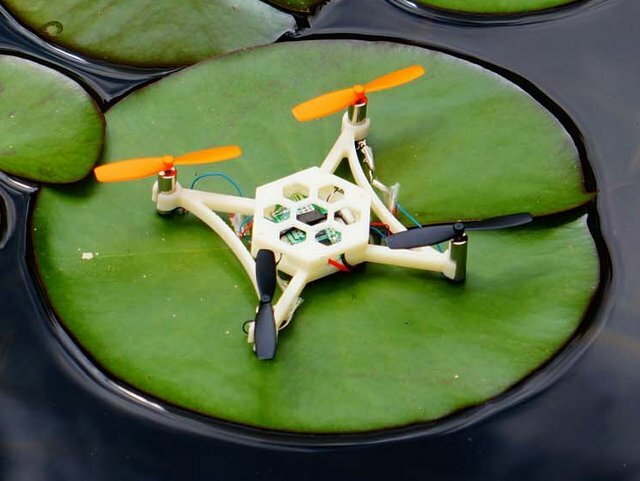 I can also see many quadcopters and helicopters on DealExtreme or Aliexpress. They all seem to be controlled with a standard remote, and I don’t know how good they are. ok so what we want now is for them to hunt track and kill mosquitoes on the wing. We need a BugZapperCopter with a small laser.